Shigeru Takada is an angler fisherman who loves catching golden Japanese char in the waters of Lake Akan, a man of the wilderness who calls deer with a special whistle, and a guide who takes travelers deep into the forests without ever forgetting his gratitude for nature. Mr. Takada speaks on how he works as a nature guide while always being sure to express his gratitude and respect for the nature that has long been protected by the Maeda Ippoen Foundation. Lake Akan, located in Akan Mashu National Park, is the 5th largest lake in Hokkaido. All combined, the area is home to more than 600 million marimo moss balls, a rare form of algae that grows in a ball-like shape, making it a valuable fish habitat. Guided through Lake Akan and the Akan River by Mr. Takada, you can explore the habitat of Japanese char that glitter in the sun, sockeye salmon, rainbow trout and Japanese hutchen. The Japanese char is a fish native to this area that has survived in the wild since long ago and has not been protected through hatcheries and other conservation efforts. 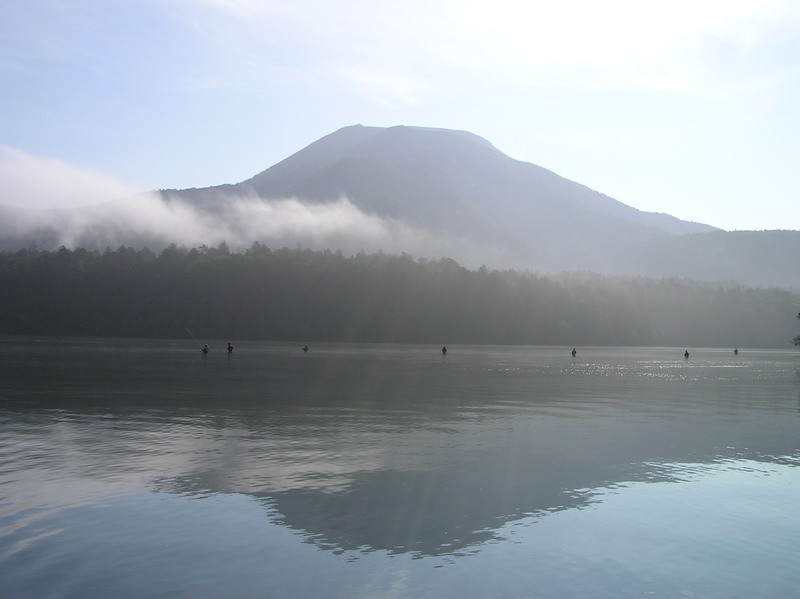 While the sockeye salmon is known throughout Japan, many are surprised to learn that it comes from Lake Akan. If you try fly fishing in the area, you may see them leap up to 2 meters out of the water--which goes to show how strong the native fish of this area are. 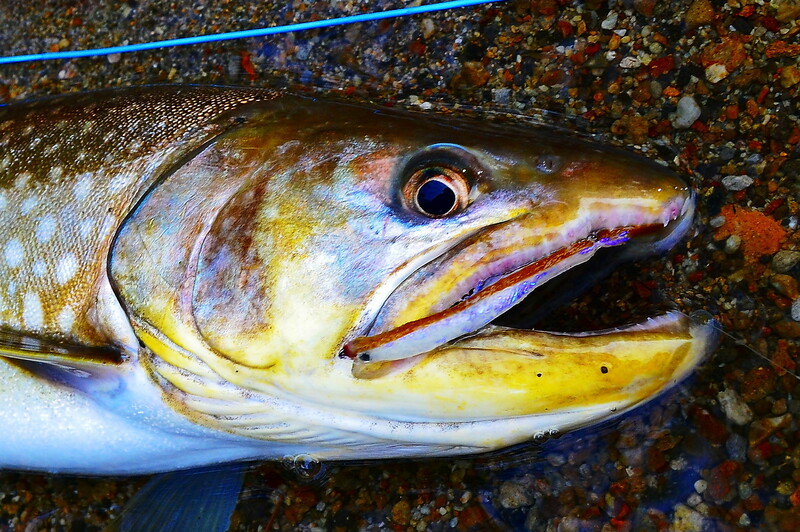 Here at Lake Akan and the Akan River, in addition to those hatched at the fisheries, you can find incredibly powerful fish raised in the wild, some up to 50cm or more, an irresistible prospect for those who love dry fly fishing. 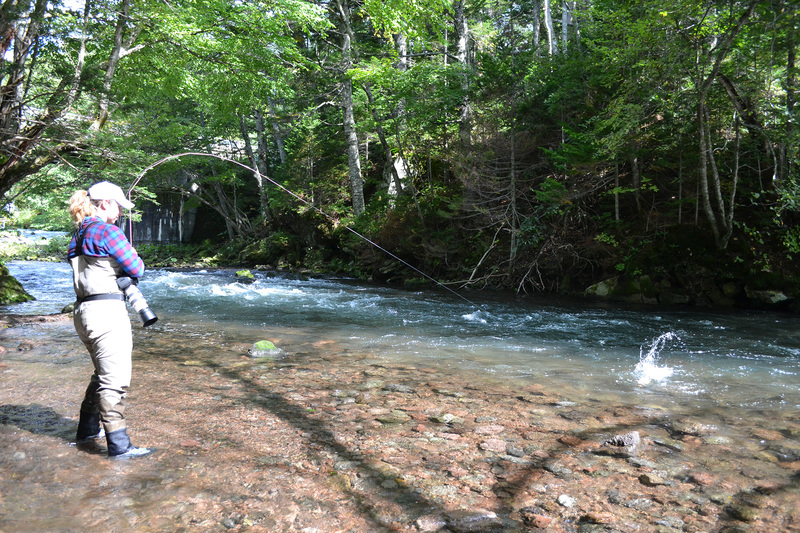 Mr. Takada looks forward to taking you fishing in this special land that has been protected since long ago. Fly fishing season begins on the surface of Lake Akan in the middle of May or early June. In May, lake flies about 5 to 15mm in size begin emerging from the waters. Locations where these bugs emerge are the perfect place to set your lure, but be careful to stay within 15cm of those locations or you won't attract any fish! It's difficult, but also exciting to try and outwit the fish. 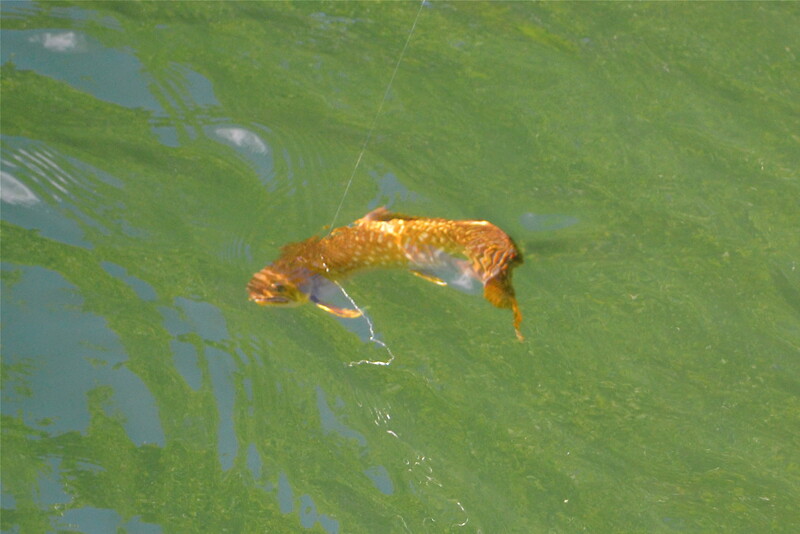 Whether on the surface of the water or under it, you need to conceal your lure in the hatching bugs so the fish can't tell the difference. The lake temperature rises from mid-July through September, so the fish go deeper into the water, making it a good season for trawling. 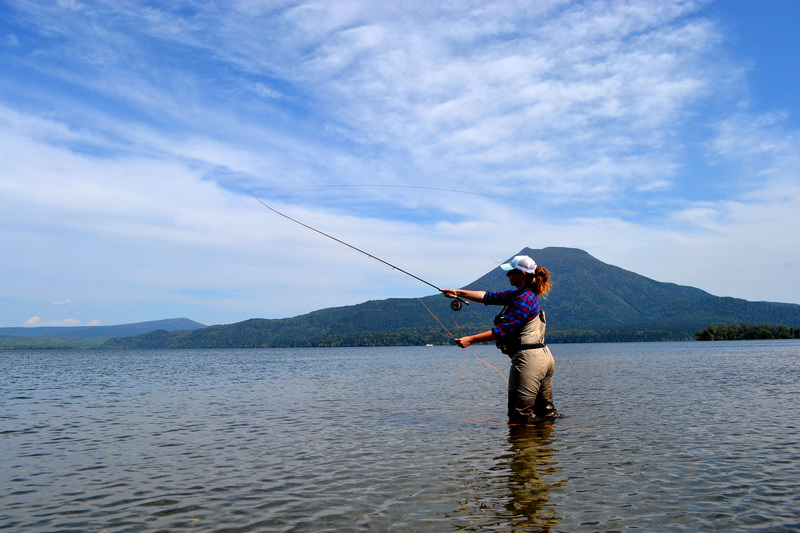 This is actually the best season for fishing at Lake Akan, and Lake Akan is positively teeming with angler fishers from both Japan and abroad throughout the spring and summer seasons.